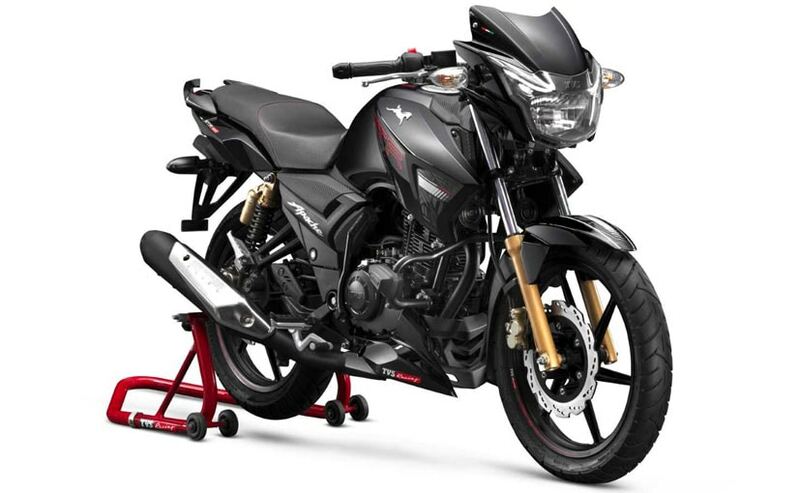 The 2019 TVS Apache RTR 180 comes with refreshed race inspired graphics, new instrument console, crash guard with frame sliders and more. One of the first motorcycles to get dual-channel ABS in India, the TVS Apache RTR 180 has been updated for the 2019 model year. The 2019 TVS Apache RTR 180 is priced at ₹ 84,578 for the standard version, while the Apache RTR 180 ABS is priced at ₹ 95,392 (all prices, ex-showroom Delhi) and comes with a host of upgrades including refreshed graphics, new console and better crash protection. There are more cosmetic upgrades, while the mechanicals remain unchanged on the offering. The update is part of TVS' celebrations as the Apache series hit the three million sales milestone earlier this year. 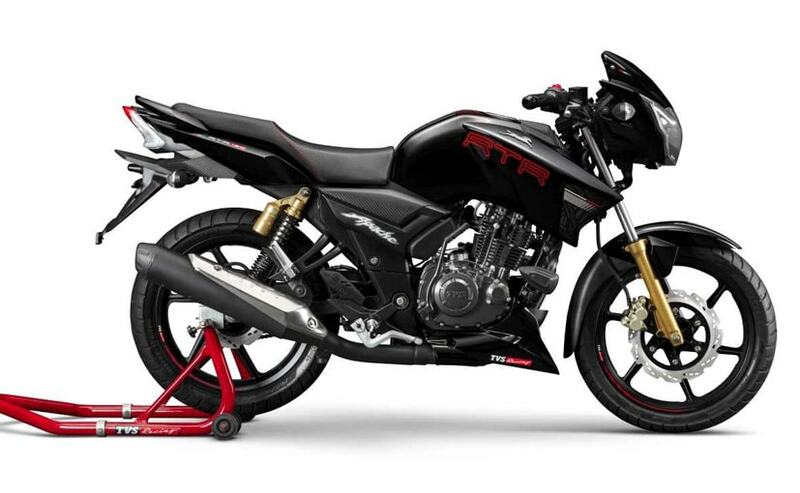 Upgrades on the 2019 TVS Apache RTR 180 include new race inspired graphics, crash guard with integrated frame sliders, Alcantara-like finished seats, and a forged handlebar end weights. The instrument cluster has also been revised and gets a white back-lit speedometer with dial-art. The motorcycle is available in five colours - Pearl White, Gloss Black, T Grey, Matte Blue and Matte Red. Under all the new bits, the updated TVS Apache RTR 180 continues to use the 177.4 cc over-square, 2-valve, single-cylinder engine tuned for 16 bhp at 8500 rpm and 15.5 Nm of peak torque available at 6500 rpm. The motor is paired with a 5-speed gearbox, and has a company claimed top speed of 114 kmph. Suspension duties are handled by telescopic forks up front and gas charged dual shock absorbers at the rear, while braking power comes from disc brakes either end with ABS as optional. With the MY2019 update, the TVS Apache RTR 180 is good the next couple of months till a comprehensive new model goes on sale. Slotting between the RTR 160 and 200, both of which are all-new offerings, the 180 retains the old design of the Apache series that many still find appealing.